This company is committed to becoming a valuable partner within the communities where their stores are located. They look for candidates who can give amazing customer service and work well alone or in a group. If this sounds like a good place to start your career, find the provided link near the bottom to search for Orange Leaf jobs. Once you find the position that you desire, fill out the Orange Leaf application. Orange Leaf Frozen Yogurt was founded in 2008 by Mike Liddell and Reese Travis in Edmond, Oklahoma under the name of Orange Tree Frozen Yogurt. The company is a chain of self-serve frozen yogurt franchises. It has spread to over 300 locations in the United States. Their traditional flavors, along with no-sugar-added, gluten-free, dairy-free and vegan alternatives, are all easily customized with a generous selection of do-it-yourself toppings. The company’s community giving programs are geared toward charitable organizations that support and benefit children, with an emphasis on education; however, the franchisees are always ready to support any local efforts. One of the ways Orange Leaf empowers its franchisees to give back to their local communities is through their annual community service grant-making program. They value employees who can keep the store clean, fun, fresh, and full. How to apply for Orange Leaf online? 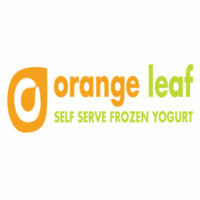 Search Orange Leaf jobs through one of the links that are provided and submit your Orange Leaf application. There are several openings at the store level; some of which will allow you to become the Owner of your own store. The positions available in store are Owner, Store Manager, Assistant Manager, Shift Leader, and Crew Member. There are other Orange Leaf careers available at out of the store or at the corporate level. These opportunities are located in the departments of Finance, Franchise Development, Franchise Operations, Sales, and Catering. You can search for more Orange Leaf jobs online. Though many stores will hire candidates who are 16 years of age, some will not hire until the candidate is 18 years old, depending on the franchise and the state guidelines. Since each location is privately owned, benefits vary by location. However, the benefits that are offered at each store are opportunity for advancement, free yogurt, uniforms, paid training, and working in a fun, fast-paced environment. There is no printable application for Orange Leaf available to download; nevertheless, you can go into your local store and apply for jobs at Orange Leaf in person. Hours of operation are Sunday through Thursday from 11:00am to 9:00pm and Friday and Saturday from 11:00am to 10:00pm. Crew Member – The responsibilities of the Crew Member include assisting guests and performing cashier duties, cleaning and maintaining equipment, preparing and cutting fruit, and cleaning and upkeep of the store. Shift Leader – The Shift Leader will act with integrity, honesty, and knowledge that will promote the culture, values, and mission of Orange Leaf. The candidate will anticipate customer and store needs by constantly evaluating the environment and customer for cues, assist with the training of new team members, deliver exceptional customer service, and execute store operations during schedule shifts. Assistant Manager – The Assistant Manager is responsible for assisting the General Manager with day to day operations, managing staff and inventory of store, greeting and interacting with customers, preparing frozen yogurt and toppings, assisting with machine maintenance and store cleanings, and performing cashier functions. Store Manager – The General Manager will be responsible for store openings and closings and all tasks associated with these functions; coordinating and overseeing a staff of one or two employees and all times making sure the store is clean and running efficiently. Other duties will be to help the staff in up-selling to maximize sales revenue and work with the Owner in marketing the store to its fullest potential. Who in your life motivates you more than anyone else and why? Think of someone that you know, or know about, that you look up to and ask yourself why you look up to that person. That is how you answer this type of question. What do you know about Orange Leaf Frozen Yogurt and what makes this company stand out from the rest? This type of question is an excellent reason to make sure you do your homework and research the company and position that you are applying for. From a customer’s point of view, what is good food service to you? The interviewer wants to know what is important to you when receiving service. This can encompass how you received the service, how the food looked, and how the food tasted, among other things. Dress in business attire for your interview, making sure to look crisp and clean. Avoid distractions by turning off your cell phone and spitting out gum before the interview. When you research the company, write down a couple of questions regarding the company, the company’s path, and the position that you are applying for. Go to your interview with an animated and positive attitude. This also includes being prepared with your resume, your prepared questions, and any rewards that you may have obtained from school or your previous job. Not only will this impress upon the person that you are speaking with that you have the energy and can-do attitude that it takes, but you are also responsible and organized.